Patricia Lee (Montgomery) O’Brien, 78, died Wednesday, March 27, 2019. She was born February 19, 1941, in Monta Vista, Colorado. Patricia graduated from Goodland High School in 1959, attended Cosmetology School in Manhattan, KS and Colby Community College. She lived in Goodland, Colby, El Dorado, Denver and Colorado Springs. She worked at Goodland Regional Medical Center, Golden West Skills Center, Good Samaritan-Sherman County and Husky’s Truck Stop. 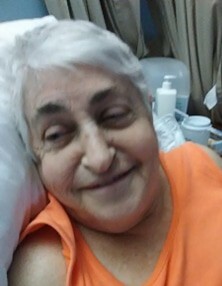 She was preceded in death by her mother, Mary Isabel Guiou Wright Montgomery; father, Paul Rothwell Montgomery; brothers, Jean Paul Montgomery and John Denton “Jack” Montgomery; and son, Kirk Denton Hartman. Survivors include daughters, Debra Hummingbird of Westcliff, CO, and Michele Hartman (Stephan) of Goodland, KS; sons, Michael Breninger (Jennifer) of Shawnee, KS, Christopher O’Brien (Joseph), Chanute, KS; brother, James Andre Montgomery (Aurora) of Oakdale, CA; sister-in-law, Janey L. Montgomery of Des Moines, WA; and several grandchildren; great-grandchildren; nieces and nephews. A funeral service will be held at 3 p.m. Friday, April 5, at St. Pauls Episcopal Church In Goodland. A pot luck and celebration of life will follow the service at Chambers Park. The family requests people bring photos and memories of Patricia along with white cotton shirts for tie dye. Flowers and memorials may be sent to 110 Caldwell, Goodland, KS 67735.